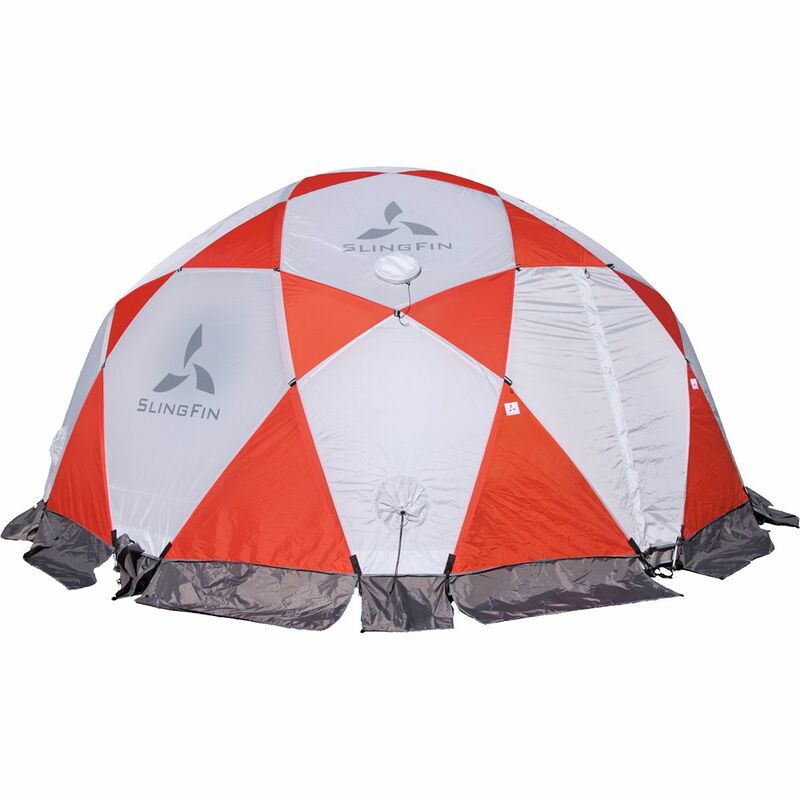 Whether you're bunking all-together or using the SlingFin Kahiltna Dome Tent as a base camp, you need a sturdy refuge that comfortably fits your entire group. The Kahiltna has a 12-person capacity and an affinity for intense weather thanks to its durable materials, sturdy poles, and extensive options for access and ventilation. When you're barely making it to camp as a storm rolls in, simply thread the poles into the WebTruss (which won't be bothered by wind), throw on the fly, and set up the rest of the tent from inside the shelter. 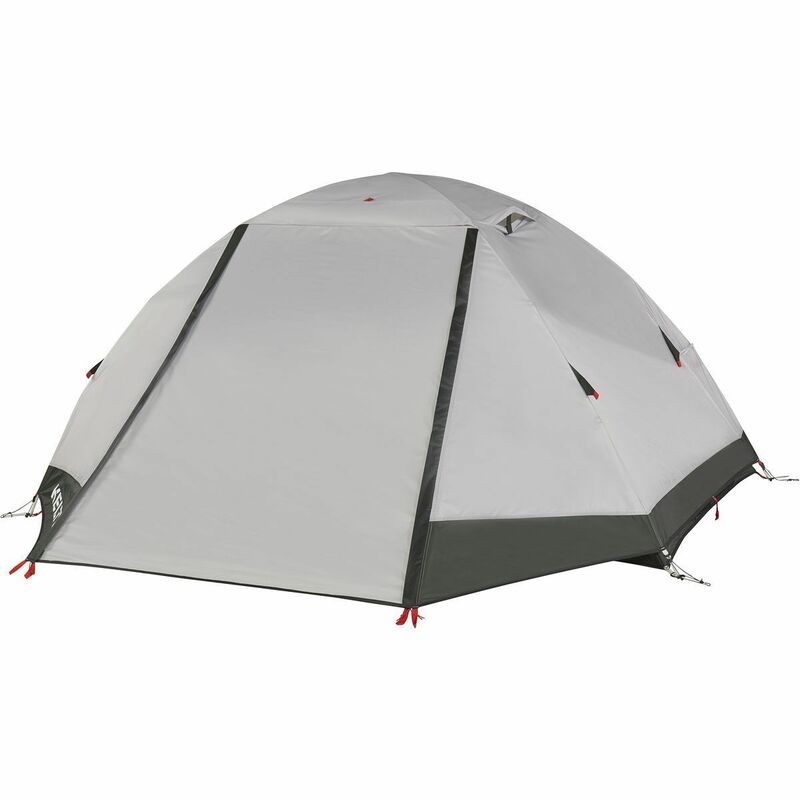 The fly features Snow Flaps that can be extended or tucked around the WebTruss to reduce spin drift, and the tent body has numerous vents and windows to ensure your group has plenty of ventilation for the activity at hand. The removable floor allows for use as a mess tent or use as part of a snow shelter, and one of the vents is even lined with Nomex (heat-resistant material) so it can be used with an exhaust pipe. 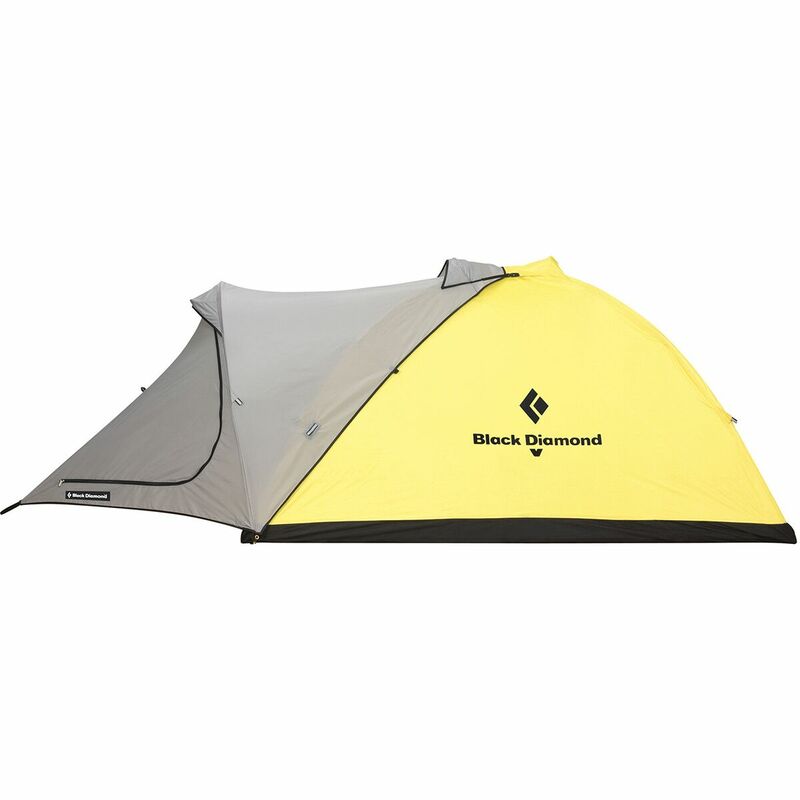 Every Black Diamond Fitzroy Tent seems to find its way to an alpine base camp sooner or later. So make sure you have the Fitzroy Footprint for added protection when you get there. Doubling the thickness of your tent's floor can make the difference between taking your tent on the next trip and throwing it away after this one. Elevate your camping experience off the cold, muddy ground with the Yakima 2-Person Rooftop Tent. Yakima channels decades of hauling and outdoor expertise into the lightweight design and robust durability of this rooftop tent. This particular version is the smallest offered by Yakima, accommodating two campers with its 28 square feet of sleeping space and plush foam mattress that eliminates the need for inflatable sleeping pads. 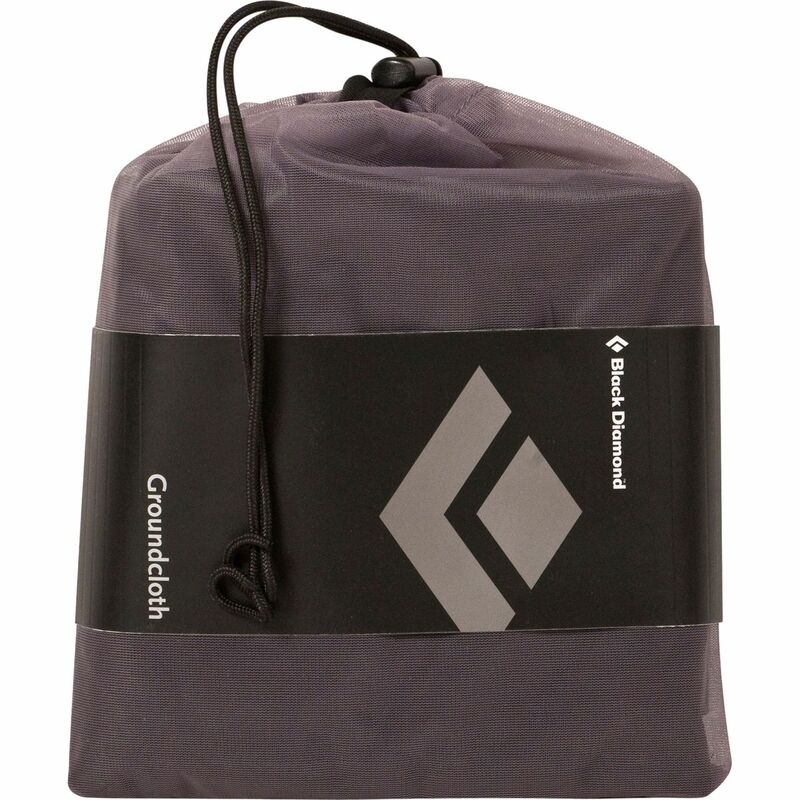 The tent body and rainfly are constructed of 210D nylon with the rainfly using a PU coating that repels oncoming showers and heavy storms from dampening your camping experience. Not only are these materials durable and relatively light, but they're breathable, so you won't have to suffer on those warmer evenings in summertime. Mesh-screened windows and a single skylight offer greater ventilation, plus the ability to view landscapes and starlit skies from the comfort of your tent. The entire thing is supported with lightweight aluminum poles and includes a ladder for easier in and out. It'll hold 400 pounds of weight inside without bending or creating issues with your crossbar system. The Skyrise Rooftop Tent attaches to most factory and aftermarket crossbars, provided your vehicle's rack and chassis can support the additional static weight sitting on top. 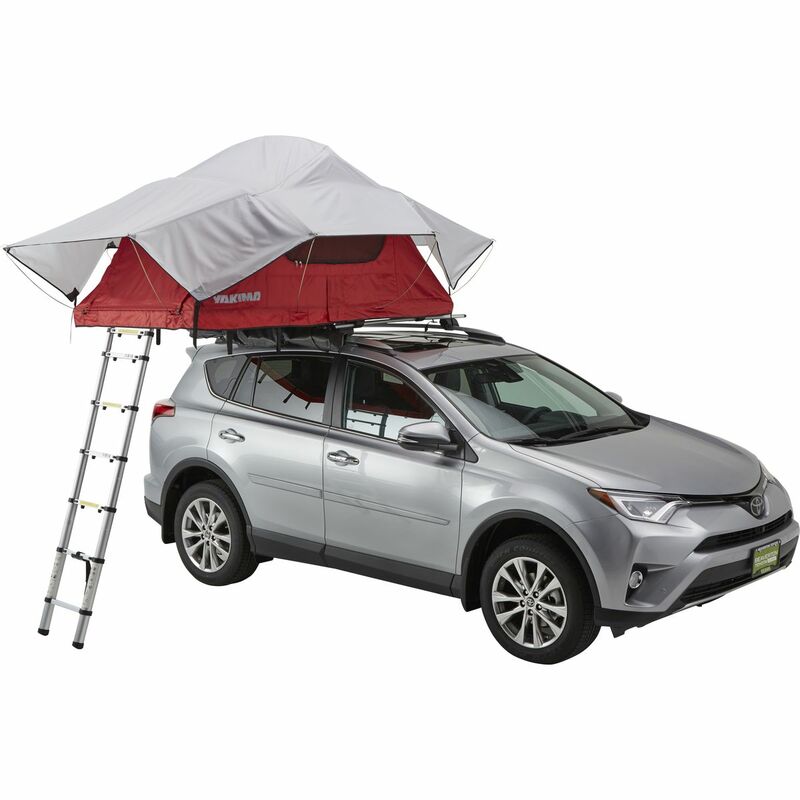 Please visit Yakima's Skyrise Rooftop Tent page, then click on the "Check My Tent Fit" to find if your vehicle and rack system is compatible. 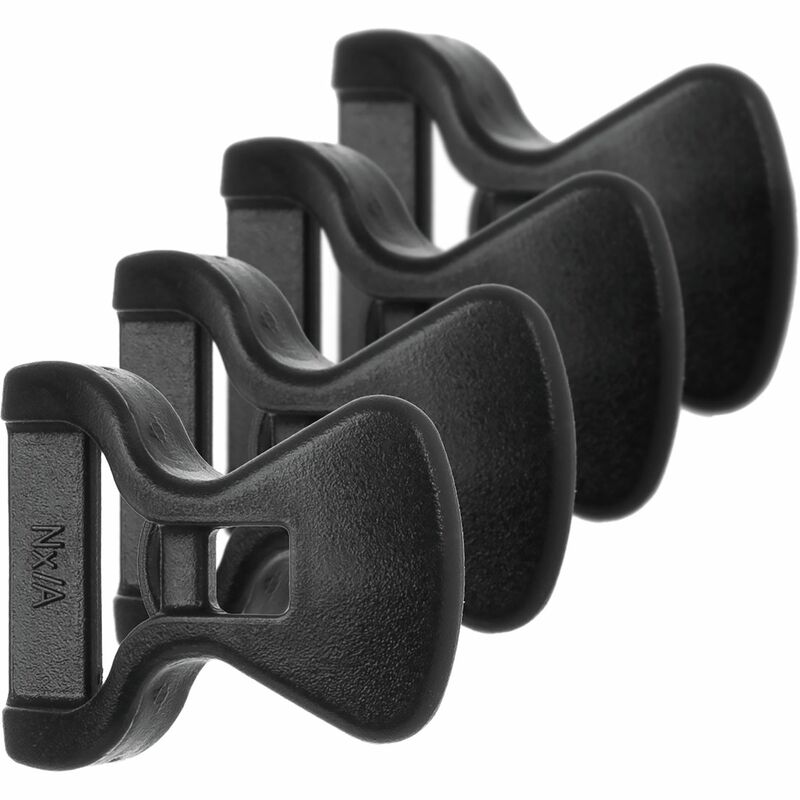 Tool-free vehicle mounts allow you to take it on and off without hassle and it locks to your roof rack with SKS Lock Cores for extra security. Load up the kids, everyone's gear, and the Kelty Trail Ridge 6-Person 3-Season Tent, and hit the road for a six-week road trip with the fam. When the weather is warm and sunny, the Trail Ridge's mesh walls keep everyone nice and cozy throughout the night. 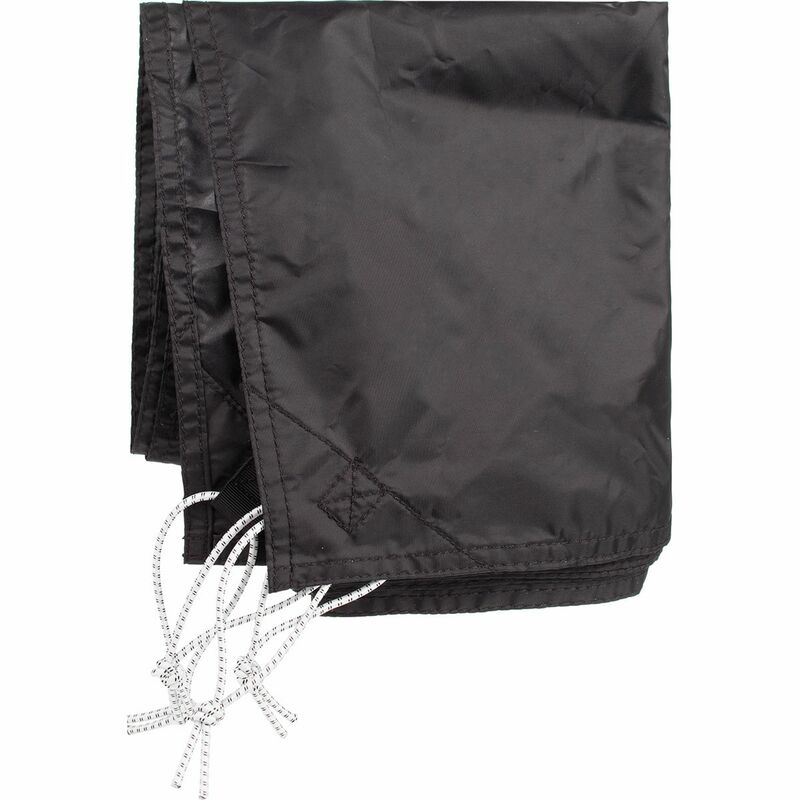 If it rains, you can cover everyone with the PU-protected fly, and there's plenty of space inside for a relaxing game of cards. When the conditions are questionable, the Trail Ridge's fly rolls up so everyone can still startgaze and have the protection they need at a moment's notice. 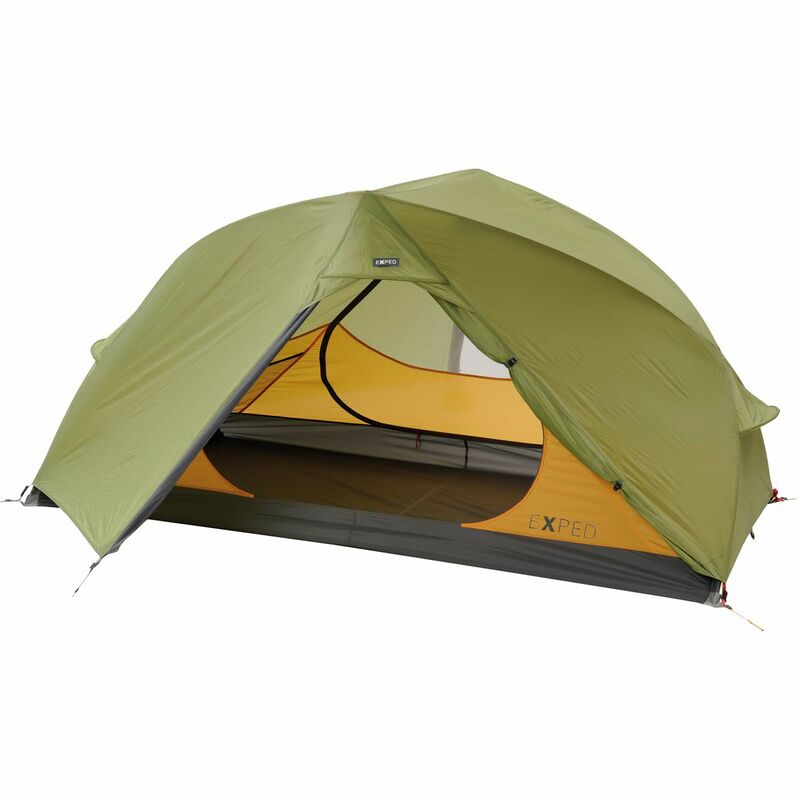 The Trail Ridge also features Kelty's Connect System for a quick-and-simple setup with the compact, folding poles. There are two doors and vestibules, and plenty of internal storage pockets for lights, electronics, and easy-to-lose items. Already a favorite among backpackers seeking a lightweight option that won't break the bank, Kelty tweaked the Gunnison 1 Tent w/Footprint to offer more room for a more comfortable sleeping experience. Its lightweight and compact design makes it ideal for backpacking trips where you're living out of a backpack, and it's equipped with plenty of features to make it anything but a simple shelter. 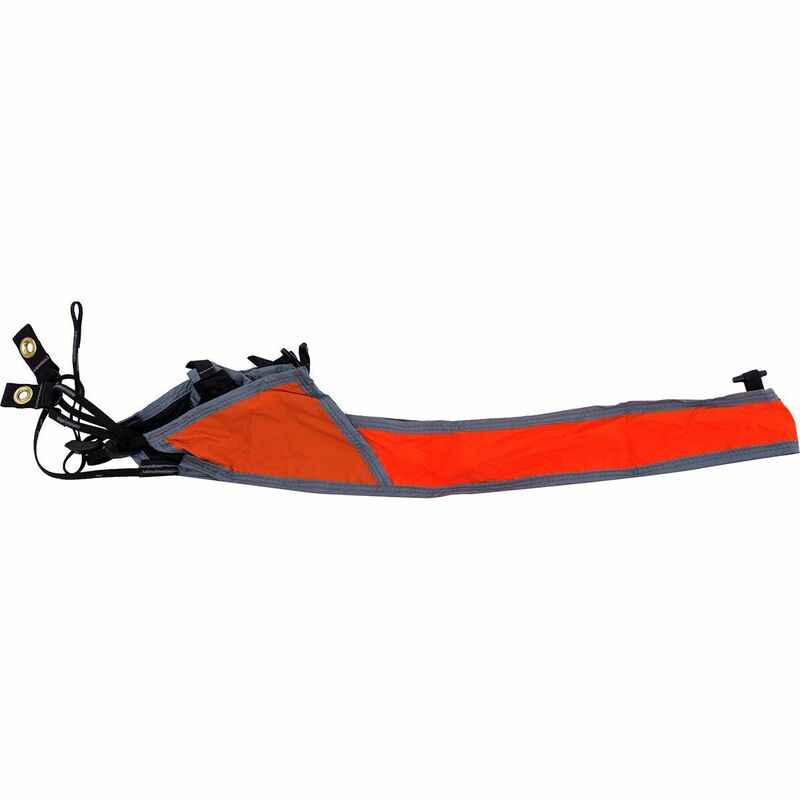 Two hubbed poles with color-coded clips and fly attachment make it a breeze to set up after a long day of trekking. No-see-um mesh maintains breathability and lets you see the stars when you choose to leave the fly off during clear nights. When you're not in a rush in the morning, the vestibule covering can be propper up with trekking poles to create an awning, so you can enjoy the view of your surroundings from the comfort of your sleeping bag. When you need a break from the hustle and bustle of city life, escape deep into the backcountry with the Kelty Gunnison 2 Tent w/ Footprint. 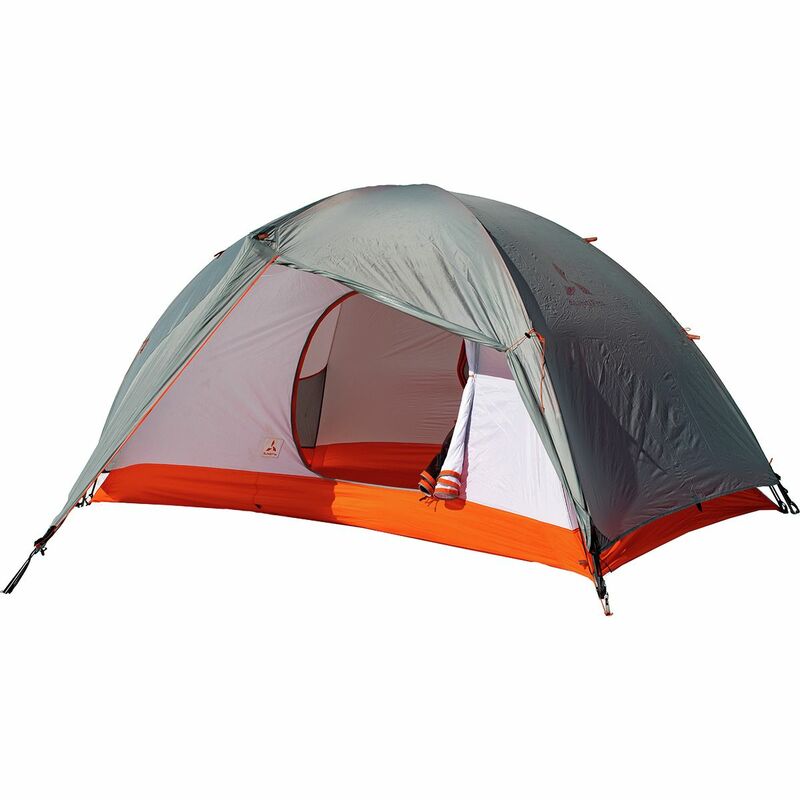 Upgraded with more room and value, its lightweight and compact design makes it ideal for backpacking trips, and plenty of features elevate it above the status of being just a simple shelter. Two hubbed poles with color-coded clips and fly attachment make it a breeze to set up after a long day of hiking. No-see-um mesh maintains breathability and lets you see the stars when you choose to leave the fly off during clear nights. When you're not in a rush in the morning, the vestibule covering can be propped up with trekking poles to create an awning, so you can enjoy the view of your surroundings from the comfort of your sleeping bag. Internal pockets help you stay organized so you can get back on the trail more quickly, and the roll-top cube carry bag doubles as a hanging food bag so wild critters don't get to it. 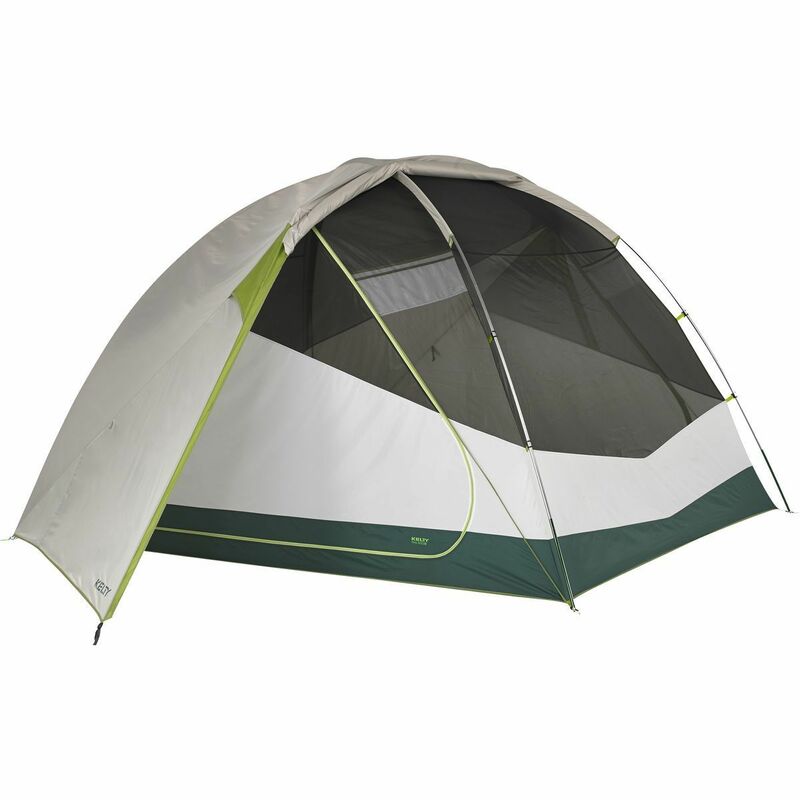 Get everyone in your family or squad of friends in the same tent on your next backpacking trip with the Kelty Gunnison 4 Tent w/Footprint. 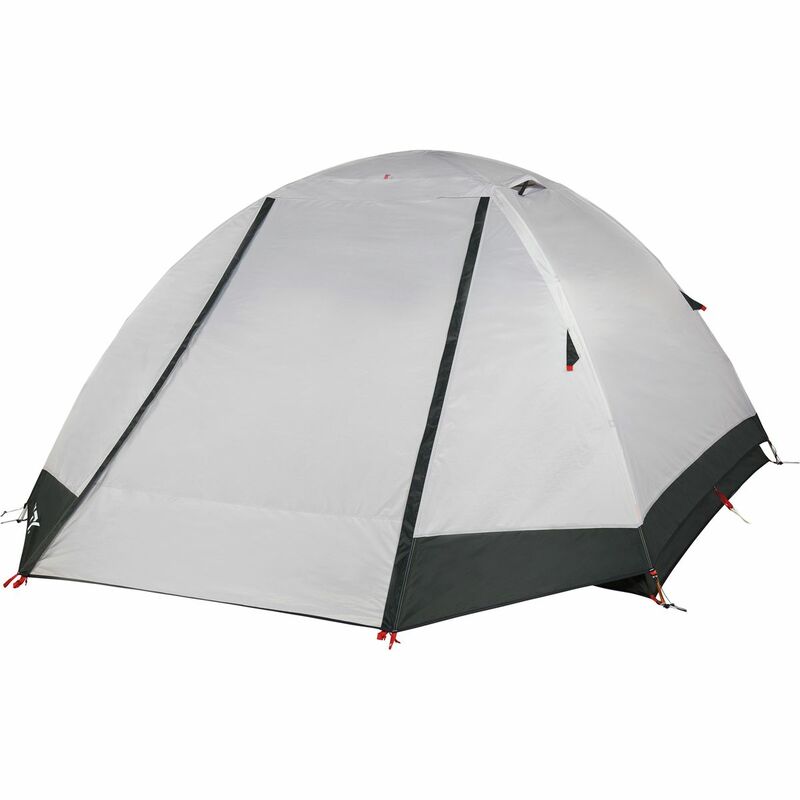 Not just a wider version of smaller Gunnison tents, this 4-person version is also longer and taller to comfortably fit everyone and their gear. Its relatively lightweight and compact design makes it well-suited to life on the trail, and plenty of features keep it from feeling like a minimalist backpacking tent. Two hubbed poles with color-coded clips and fly attachments make it a breeze to set up after a long day of hiking. No-see-um mesh maintains breathability and lets you see the stars when you choose to leave the fly off during clear nights. When you're not in a rush in the morning, the vestibule can be propped up with trekking poles to create an awning, so you can enjoy the view of your surroundings from the comfort of your sleeping bag. Internal pockets help you stay organized so you can get back on the trail more quickly, and the roll-top cube carry bag doubles as a hanging food bag so wild critters don't get to it. Need an alternative to littering your campsite with poo holes? 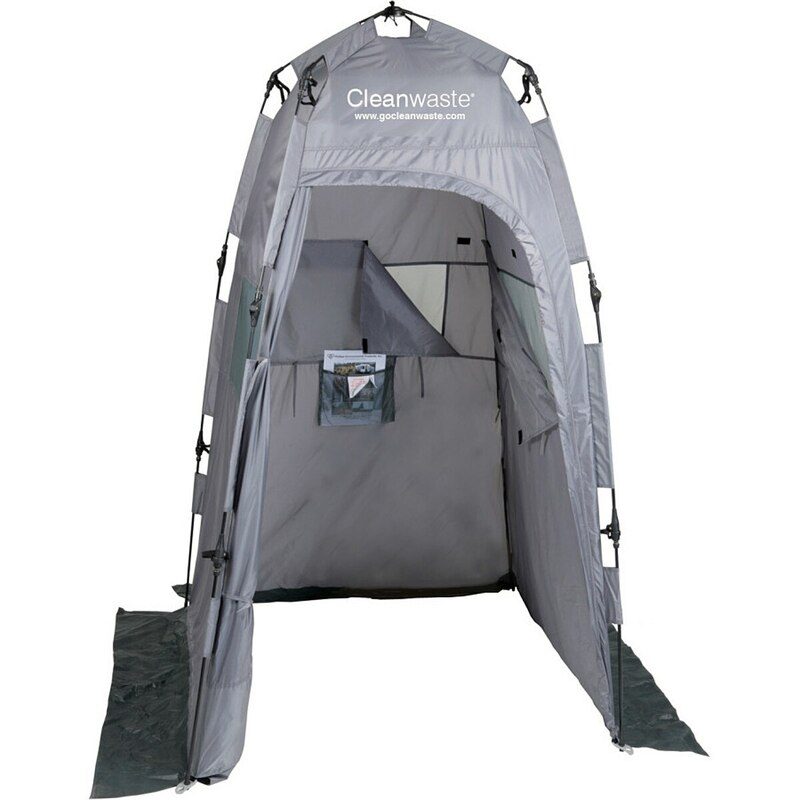 Check out the Cleanwaste Privacy Tent. This portable outhouse shelters your Cleanwater portable toilet, so you can do your business in private. Easy to set up and take down thanks to pre-attached poles and connectors, the Privacy Tent is made of flame retardant Taffetta and features a cross-ventilation system that airs things out. A sanitary floorless base reminds you that you're still in nature, but Cleanwaste added ground secure flaps to keep too much nature from getting into your throne room. 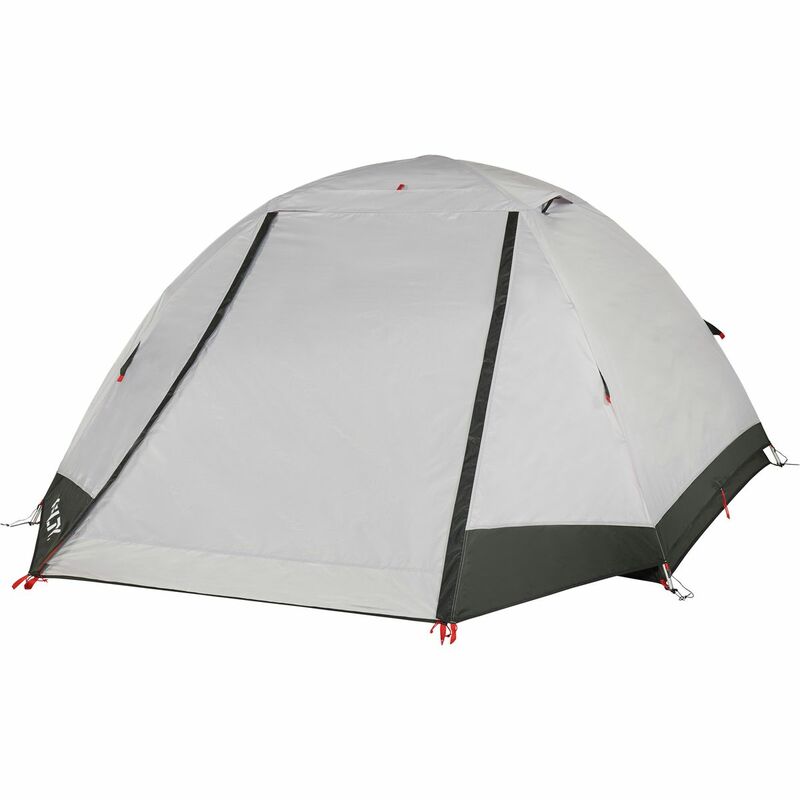 Stick a showerhead or a light at the top of the tent to get more out of this handy shelter. Tents flapping in the night will be your psychological downfall, unless you have Gear Aid's Tent & Tarp Line Lock securing your tent. 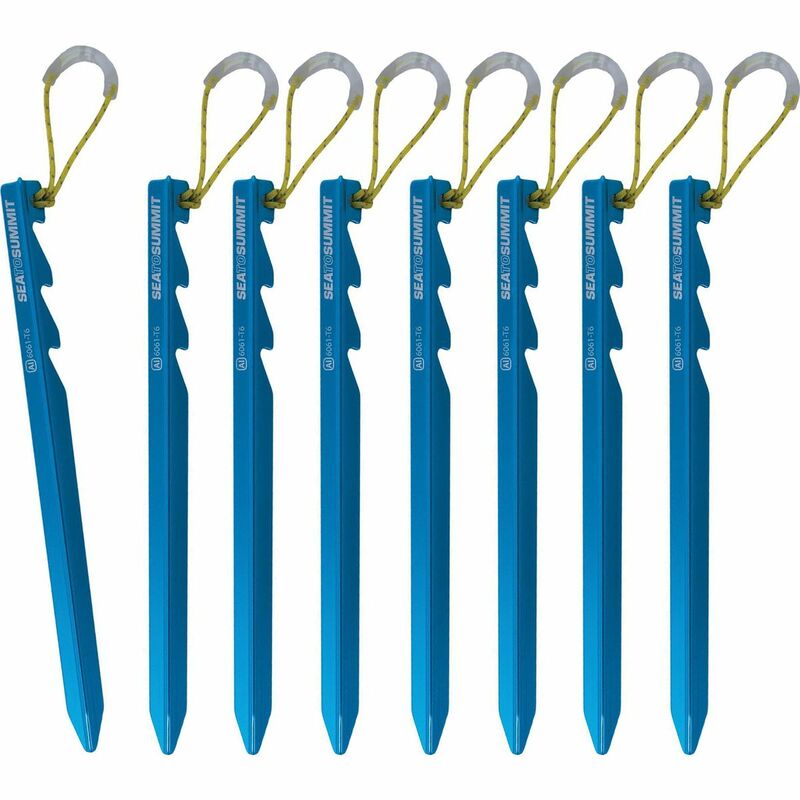 These four locks keep guy lines taut without any fancy knots, and you can even attach them to tarps without guy lines. 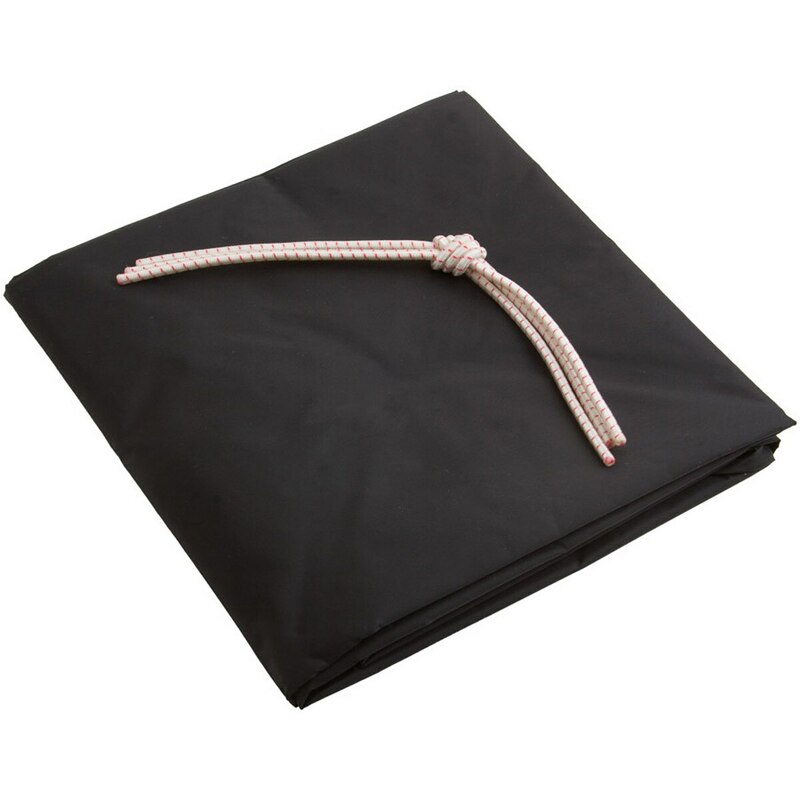 Simply attach the lock to the tarp, thread the cord through, and pull the line to keep your shelter secure. 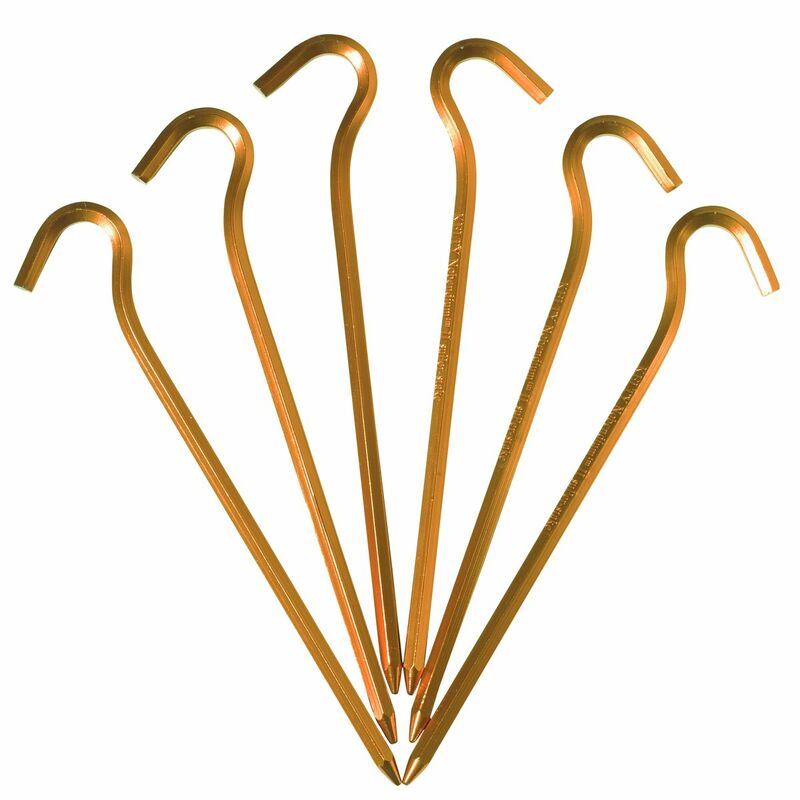 Jump on them, beat them with a rock, and hammer them into tough surfaces; Kelty's 6-Pack of Nobendium II Tent Stakes live up to their no-bend name. As close as you can get to gourmet cookware in the wild, the MSR 2-Person Mess-Kit is light enough to take backpacking, camping, tailgating, or scouting to feed two hungry explorers. 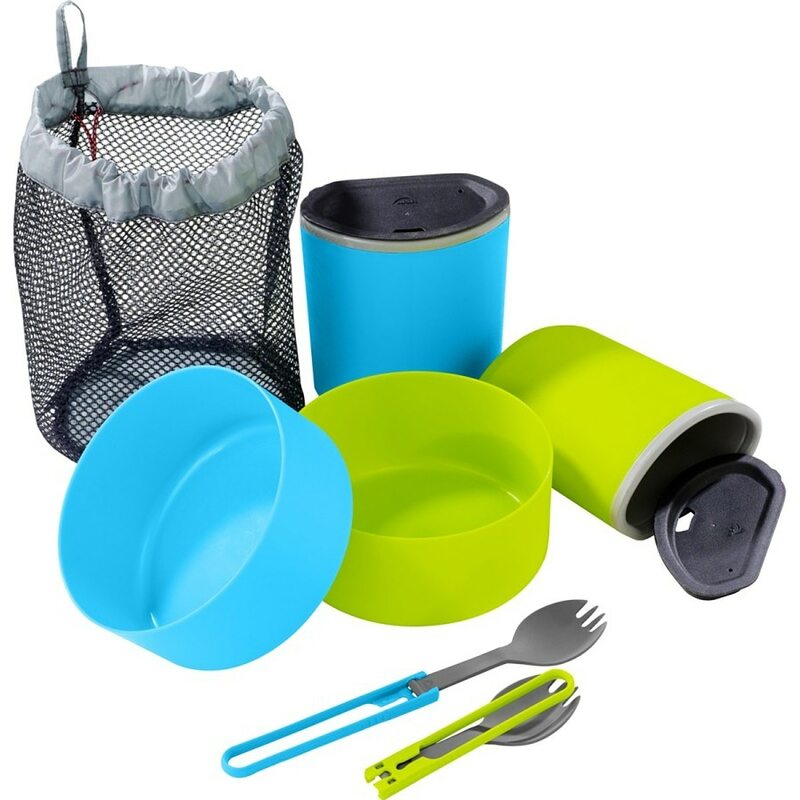 It includes two Deepdish polypropylene bowls, two insulated mugs, two folding utensils, and a mesh storage bag to boot. Whatever the level of your campsite cooking skills, the Mess-Kit will serve you well. Bon appetit! When you're stand-up paddleboarding and don't want to be bothered by a big and bulky life vest, just wear the NRS Zephyr Self-Inflating PFD around your waist for some added peace of mind. 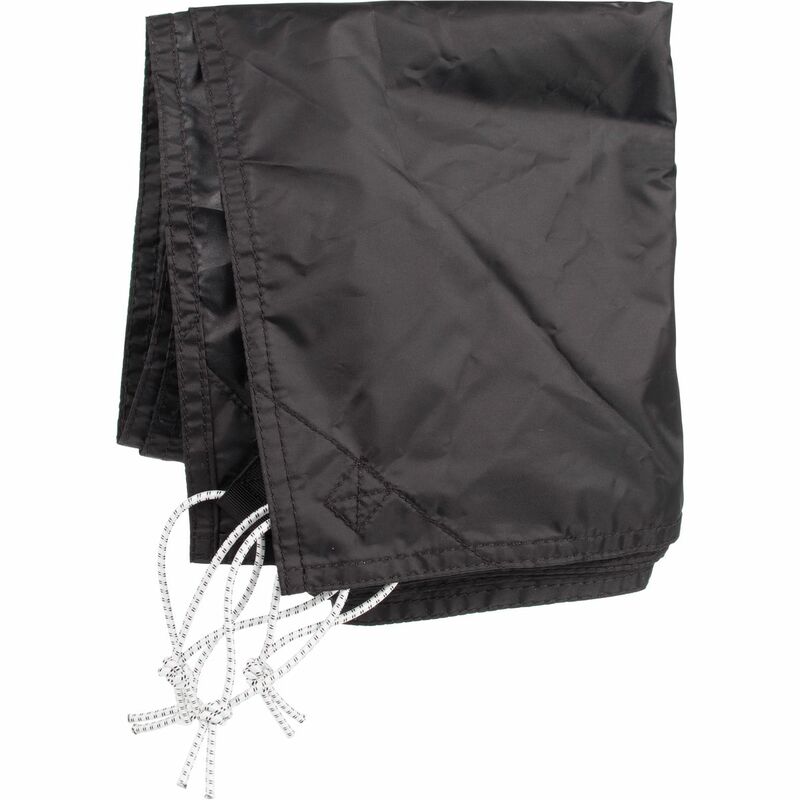 The system is worn around the waist and can be instantly inflated with the just the pull of a cord thanks to a CO2-powered inflation device. Once inflated, the Zephyr provides up to 15. 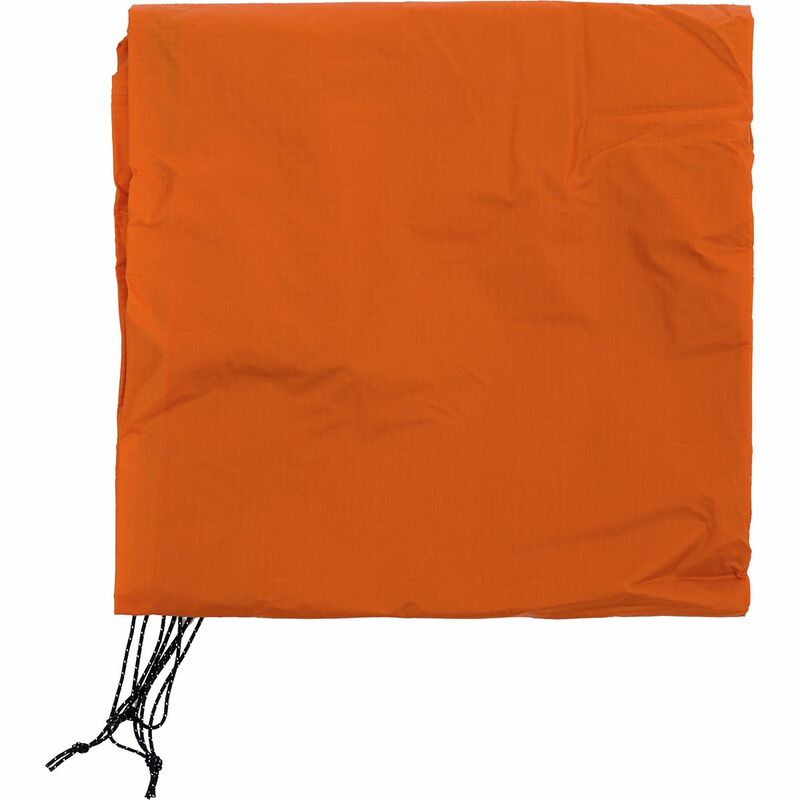 5lb of flotation, making it a type III PFD. 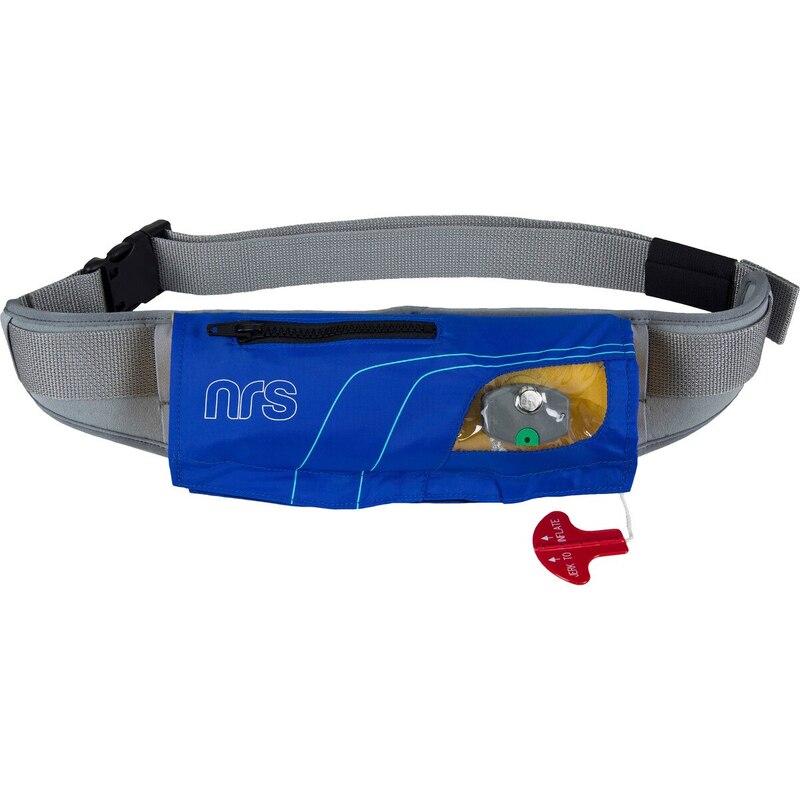 When things really go bad, a mouth valve option allows the PFD to be inflated manually.